The 2019 ACL Fest lineup is out on Tuesday, April 30th at 10:00 AM CST! Austin City Limits tickets go back on sale the same day, 12:00 PM CST! Check back for updates and access to tickets! Austin City Limits 2019 is a major music festival in Austin, TX. You get a lineup of indie music, country, folk, rock and electronic music! It's located in Zilker Park, and there's also an Austin City Limits live stream every year. You'll find a diverse lineup on 8 stages with more than 125 performances over two weekends. 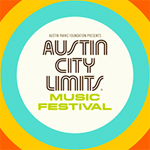 The Austin City Limits dates are Oct. 4 - 6 and Oct. 11 - 13, 2019. These are the official and confirmed dates. You'll also find phone charging stations, the ACL Eats Food Court, plenty of selfie spaces set up around the park, the famous ACL Art Market and more. Social community people can find solace in the Rock & Recycle Program and Austin Parks Foundation. Austin City Limits is not just a concert after all, it's an experience and a state of mind. The Austin City Limits 2019 lineup and Austin City Limits 2019 tickets are below! Austin City Limits tickets are not on sale. Tickets go back on sale on Apr. 30th at 12:00 PM CST! Check back for updates and access to tickets! The Austin City Limits lineup for 2019 hasn't been announced yet. It's out on Tuesday, April 30th at 10:00 AM CST! Check back for updates and access to tickets!